SunCity Camp now includes 20 of Freedomes' Martian geodesic domes. Freedomes created the dome habitat for The Martian's set design. Sandstone and granite rock formations in the desert allow visitors to feel as if they've really traveled to the red planet. 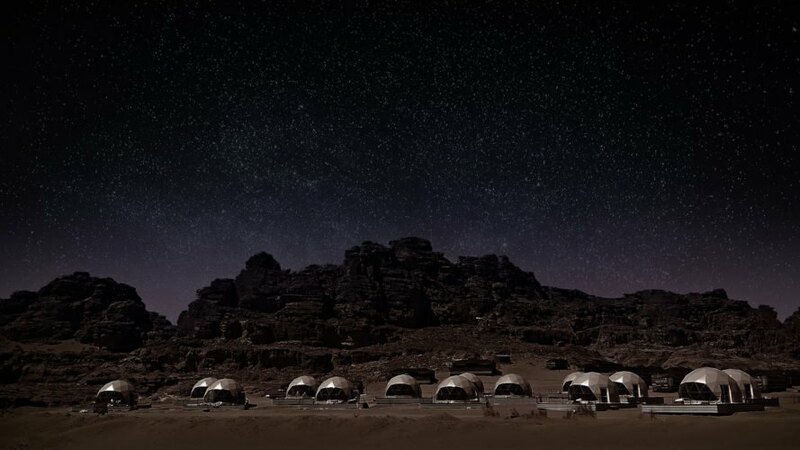 SunCity Camp is located near where The Martian was filmed. 5,000 Bedouins reside in the Wadi Rum desert and act as guides. Luxurious interiors allow glampers to stay in the desert in style. Each dome comes with a private bathroom. Each dome includes a panoramic window for beautiful desert views. 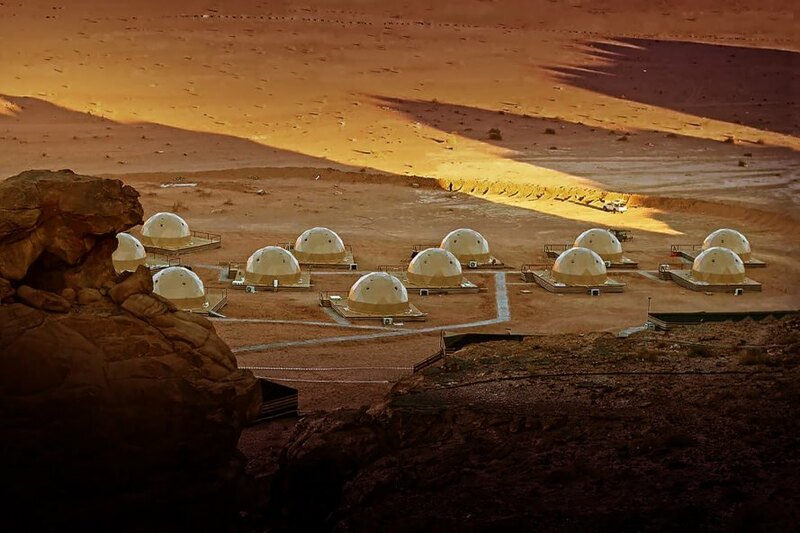 These Martian domes are about as close as you can get to Mars. Most of us at this point in human history can only dream of journeying to Mars. 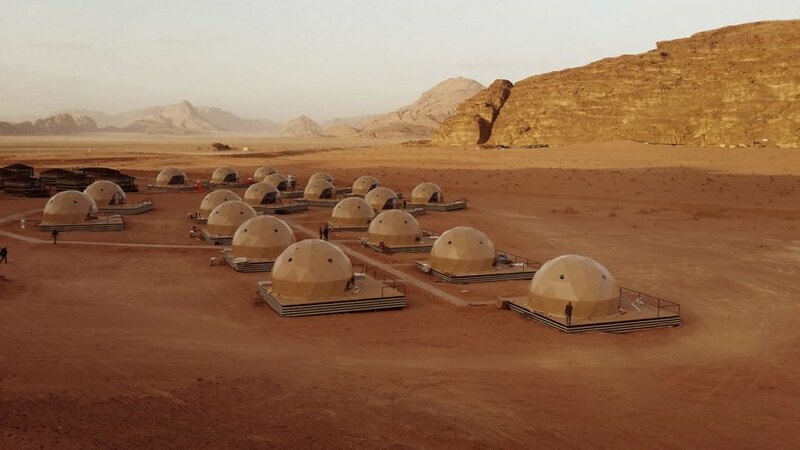 But Freedomes and SunCity Camp are making that experience almost possible with a dome tent camp in Wadi Rum, Jordan near where the 2015 movie "The Martian" was filmed. 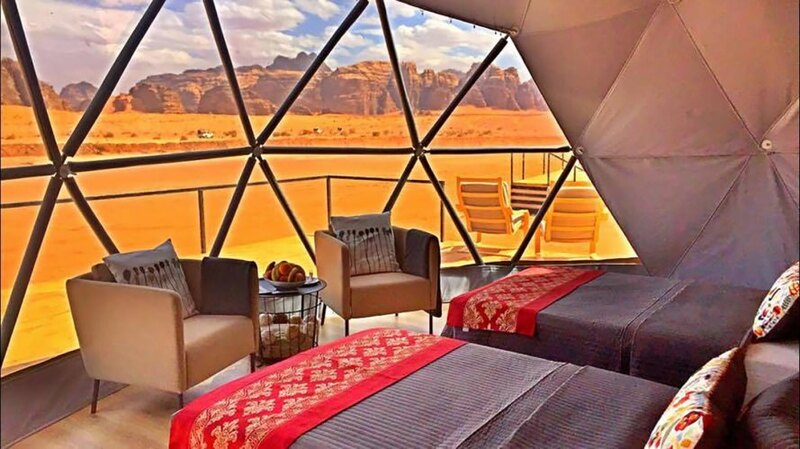 Visitors can now get that Martian experience inside one of 20 geodesic dome structures dotting the desert.